SilverStone has introduced its new CPU cooler designed for ultra-thin PCs, such as thin mini-ITX as well as mini-STX systems. The cooling solution is as thin as an Intel coolers, but this one is rated to cool chips with up to 65 W TDP. The SilverStone Nitrogon NT08-115XP CPU cooler has a core made of solid copper as a well as an aluminum radiator with bifurcated fins. The cooling system is equipped with a sleeve bearing fan with 1200 ~ 3400 RPM rotating speed that can create air flow of up to 16 CFM. The new Nitrogon NT08-115XP is 101 mm wide and 33 mm tall meaning that it is compatible with a variety of low-profile systems that do not have a lot of tall components around their CPU sockets. Despite its relatively small dimensions, the cooler is rated to a thermal conductivity for up to 65 W, a typical TDP of quad-core microprocessors with powerful integrated GPUs. SilverStone positions its new Nitrogon-series cooler (SST-NT08-115XP) as a companion for its VT01 Mini-STX chassis, but the device can naturally be used for all the other ultra-thin PCs as well. In fact, the SST-NT08-115XP can be attached to any motherboard with Intel’s LGA1150/1151/1155/1156 socket, but in the vast majority of cases it will be used inside current-gen machines that are based on Intel’s Skylake or Kaby Lake processors in LGA1151 packaging. Intel itself bundles low-profile CPU coolers with its processors up to 65 W TDP. Such coolers lack a copper base and, as seen in our roundup of stock coolers, not the best solution available. Meanwhile, in previous years, the more power hungry parts have been shipped with larger cooling solutions that also lack copper for cost reasons and are generally noisy. By contrast, SilverStone’s Nitrogon coolers promise both 65 W thermal conductivity and relatively silent operation (at least, under light loads when the fans do not rotate at high speeds). 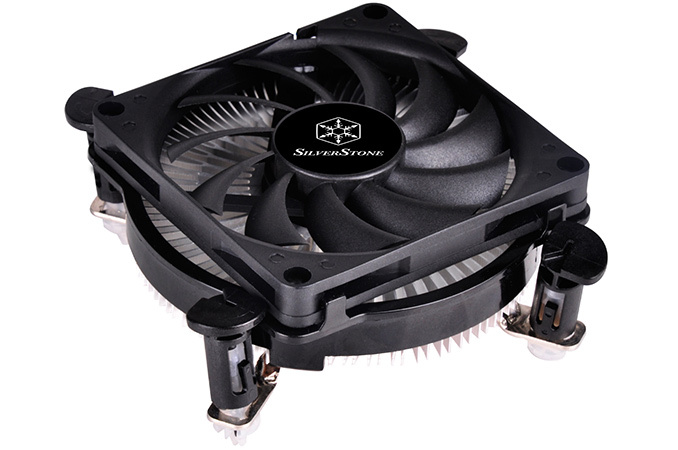 The SilverStone Nitrogon NT08-115XP CPU cooler is expected to hit the store shelves in the coming weeks. Exact pricing of the product is unknown, but its NT07-115X brother costs $33 in the U.S. I think rifle bearing would have been better, but it'd cost a bit more. I just relubed an AVC fan in my NAS, again. Maybe that is why it has a laughable life expectancy. 40,000 hours is FOUR YEARS.